1. It’s Not Peak Season – With everyone else rushing to get their roofs installed in the summer, why join them? You’ll be more likely to book your contractor and schedule of choice when it’s off-season, not to mention you will have more than enough time to plan things like your temporary accommodations during installation. Let you and your family enjoy the summer season and schedule the roofing project for later. 2. It’s Much Cooler – There’s that window between the end of summer and the start of the fall season that is just perfect for remodeling it’s not too hot but neither has the cold start to set in. This is the perfect time to schedule your appointment with your chosen roofer. Cool weather also lets us stay on roofs longer, which means we get to finish the installation sooner. 3. It’s Best For Most Roofing Materials – Some homeowners choose to have their roofs installed around when winter begins. But certain roofing materials, such as asphalt shingles, tend to become brittle when exposed to temperatures below 20 degrees. This could result in increased breakage rate, resulting in wasted roofing material and longer installation times. 4. 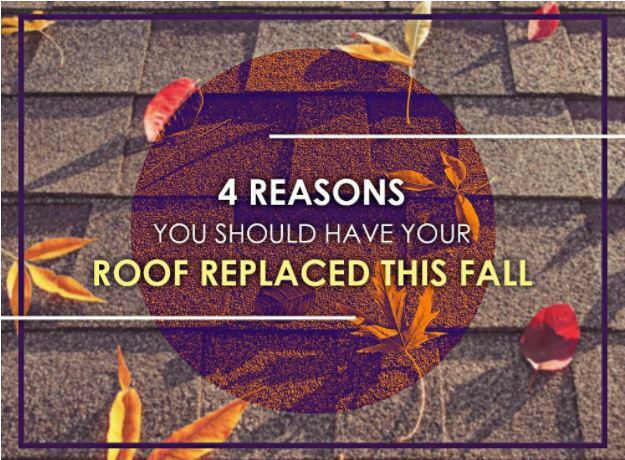 It Helps You Prepare For The Winter Season – In addition to the aforementioned potential installation problems in the winter, getting your new roof completed before the cold sets in has many benefits. In addition to helping keep your home warm and comfortable, your new roof can also help reduce your indoor heating requirements, which results in a significant reduction in your energy bills. Your home could even qualify for a federal tax credit for energy efficiency. Looking into getting your new roof installed this season? Let’s get you started with our expert roofing consultants. Call Rogers Roofing today at (219) 228-8210 (Indiana) and (773) 492-2270 (Illinois), or fill out our contact form for a free roofing estimate. We serve many areas near Northwest Indiana, including Chicago and Schererville, IN.